If you're looking to add a stylish touch to your latest project, this deal is for you! 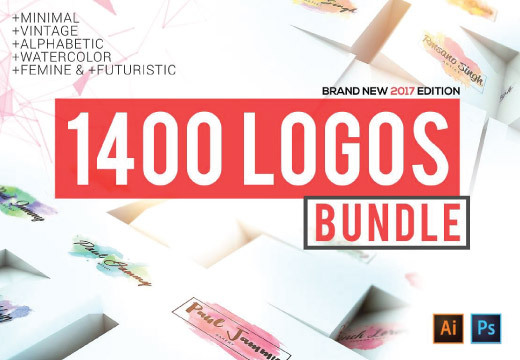 A huge collection of 1400 stylish logos, this ultimate branding pack features colorful and fully editable logo templates. You can use the logos for personal and commercial works.